Natural Wonders by American Health Collective (AHC) is nothing but a poorly-concocted scam that can be easily seen through by even the most inexperienced skeptic. This program is nothing but a pathetic attempt to capitalize on the side effects of drugs to dupe people, a common tactic that never gets old. I’m not really going to waste my precious time reviewing this program in detail, as it is not worth it. You’ll see why later in this review so sit back and happy reading! 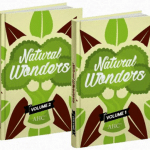 Natural Wonders was created in April 2017 by an organization calling itself American Health Collective (AHC). 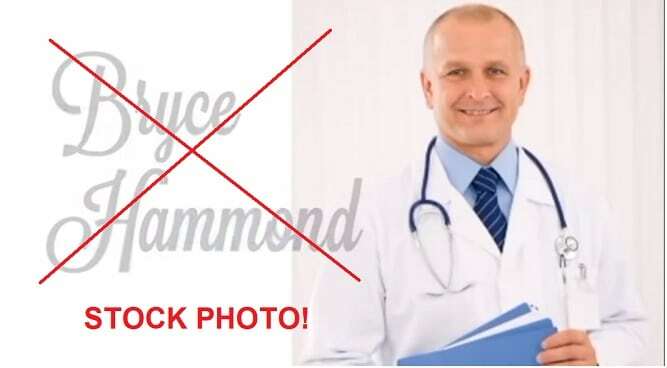 Its leader is one ‘Bryce Hammond,’ who claims that his organization has been in existence for the past 14 years. The basis of this program is the conspiracy theory that the U.S government has teamed up with ‘Big Pharma’ to essentially kill you with drugs. Bryce claims that this ‘sickening relationship’ was created for selfish reasons and not to help the poor masses. Hence the reason why Natural Wonders is coming to the rescue. Oh wait, haven’t we heard this kind of conspiracy theory before? Who remembers The Big Diabetes Lie by ICTM? Unlike The Big Diabetes Lie which only deals with diabetes, Natural Wonders claims to be a super book that ‘includes natural, drug-free treatments and remedies for the world’s most common killers, including type 2 diabetes, tumors, dementia, heart disease and more.’ We’ll see about that, shall we? OK. Now to the reasons why Natural Wonders is a scam. 1. American Health Collective Does NOT Exist! AHC claims to be ‘the World’s leading network of alternative health specialists’ with over 157,000 followers. That’s funny, because this organization has no social media presence whatsoever (Don’t confuse it with American Health Council). 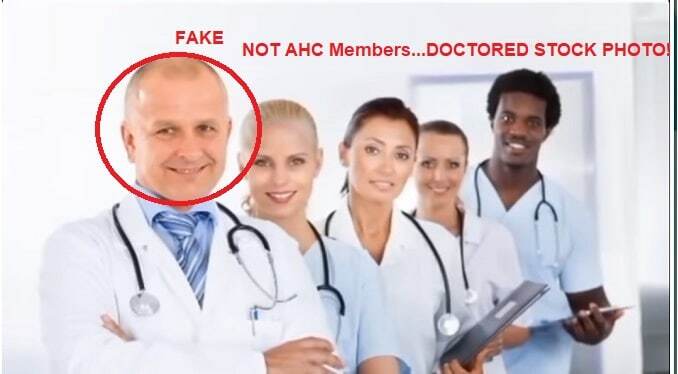 To make matters worse, the photo provided in the video of the supposed AHC ‘doctors’ is nothing but a doctored stock photo you can buy at 123RF.com! 2. Bryce Hammond Does NOT Exist! Bryce Hammond calls himself the research director of AHC. 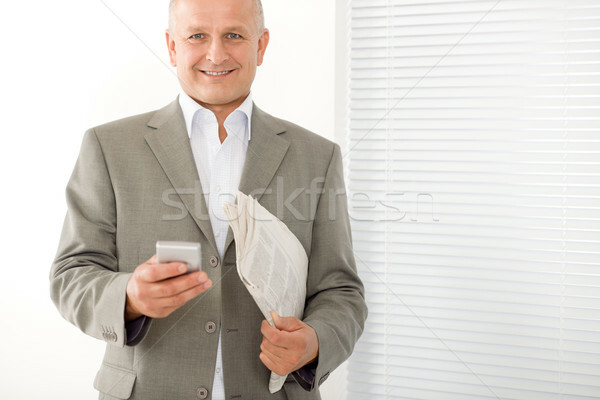 Of course, that’s a lie because he’s just a stock photo you can buy from a multitude of stock photo websites. I mean, where do I start from? 2. Bruce Hammond’s Photo in Text Version of Presentation: Buy it from Shutterstock, Lori.ru, StockFresh, Deposit Photos, Big Stock Photo. Do I need to say more? Just like I thought. So it goes without saying that we are dealing with a full-fledged scam right here. FYI, there are many forms of dementia, which are caused by a buildup of rogue proteins called tau, amyloid and prions. To prove how unqualified these scammers are in health matters, AHC claims that dissolving beta-amyloid proteins in the brain ‘is the key to reversing dementia.’ This is emphatically false, because beta-amyloid deposits is not the only cause of dementia. And the sad reality is that there is no cure for dementia, and research is currently going on to come up with effective prevention and treatment. Final Conclusion: DON’T BUY Natural Wonders. It is A SCAM! BuyGoods is the retailer of this program. So if you’ve made the mistake of buying this program, use this form to get your refund. Also don’t forget to share this review to the relevant people so that they too will be warned! Feel free to use the comments section if you have any contributions to make. Thank you!